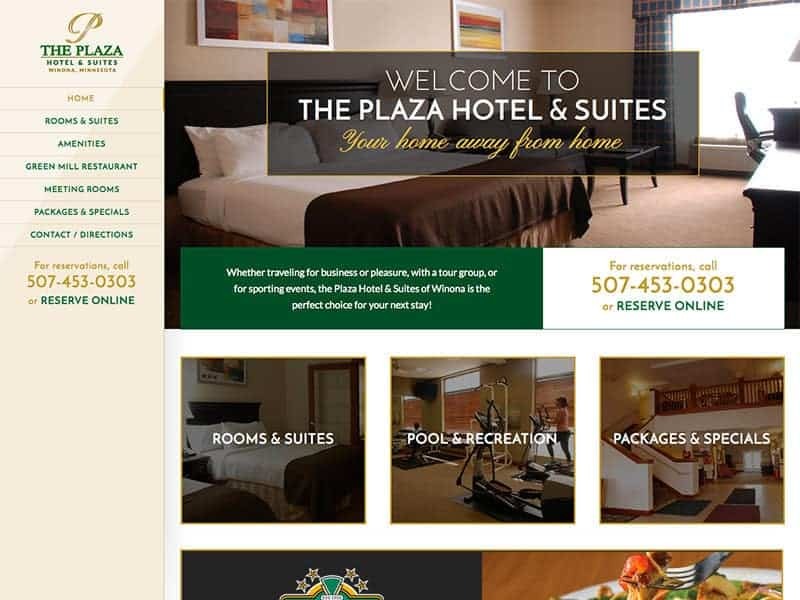 Recently renovated in 2016 The Plaza Hotel located just of Hwy. 61 in Winona, MN has all the amenities one could need to truly make your stay feel as a home away from home. Meeting rooms, Green Mill Restaurant, and Packages & Specials are just a few of the conveniences The Plaza Hotel has to offer. With the vast array of different services and amenities all can now be found on their new and improved website. With simple and easy navigation, you can find whatever it may be you are looking for with ease. Let us help you show all that you have to offer! Contact us today!